Norway showed stamina will be his forte after staying on powerfully to give trainer Aidan O’Brien back-to-back victories in the Godolphin Flying Start Zetland Stakes at Newmarket. 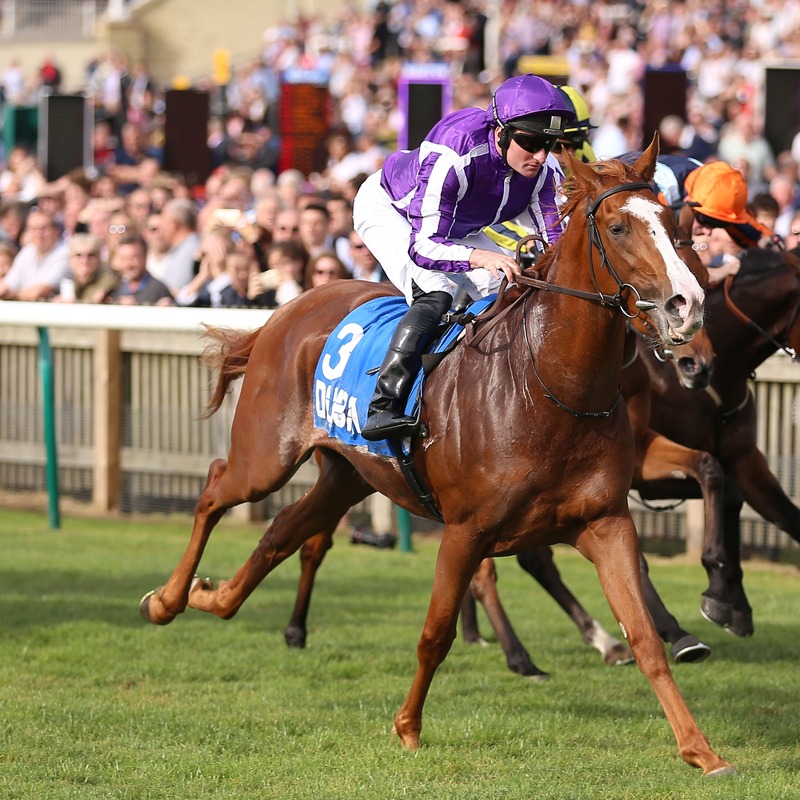 Having landed the 10-furlong prize 12 months ago with subsequent St Leger winner Kew Gardens, the Ballydoyle maestro repeated the trick with the full brother to 2013 Derby hero Ruler Of The World. Despite being a bit green, the 7-2 shot found plenty for pressure under Seamie Heffernan to defeat I’ll Have Another by a length. Following the race the winner was cut to 25-1 for the Derby by Paddy Power and Betway, while Ladbrokes went 33-1 for the same race. O’Brien said: “I’m delighted with him. That was a lovely experience for him. He stays well and the last day he won well and galloped to the line. He is a beautifully-bred horse. “It is possible (going to France for Criterium de Saint-Cloud). He is a lovely big horse and he doesn’t have to go there as he has had that experience coming here. It’s a possibility though as he is in it. Having earlier combined to land the Dewhurst Stakes with Too Darn Hot, John Gosden and Frankie Dettori completed doubles after Perfection (3-1 joint-favourite) claimed the Listed Dubai Life British EBF Boadicea Stakes. Runner-up at the track last Saturday, the Dutch Art filly went one better with a neck verdict over Classical Times. The Newmarket handler said: “We were giving a lot of weight away last time and I wouldn’t normally run them twice in a week. “We ran her in the Sandringham at Royal Ascot and we thought we had that sewn up. It took the trainer a long time to work out the trip. Scottish trainer Keith Dalgleish claimed his first winner at the track after Caballero (4-1) struck gold under Joe Fanning in the #Mydubai Nursery. Fanning said: “He is a nice horse. Keith said he would go well and he is never far wrong. Euginio lunged late to claim top honours in the concluding Group Three Darley Stakes in the hands of Hayley Turner. The admirable Forest Ranger battled his way to the lead inside the last of nine furlongs, but Richard Hannon’s 13-2 shot Euginio enjoyed a dream run up the rail and got up to score by a neck.